Spread your lashes from the roots. With its balloon shape wand, it is easier to attain a natural eyelash look. Creamy concealer features a color correcting formula with a soft beige tint that is claimed to neutralize redness, optically minimize fine lines and pores, and give a long-lasting even skin tone. It contains active ingredients that helps to smooth and tighten. 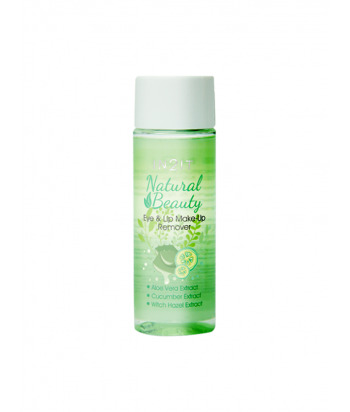 Make-up remover for eyes and lip with natural extracts of aloe vera, cucumber extract and witch hazel extract. 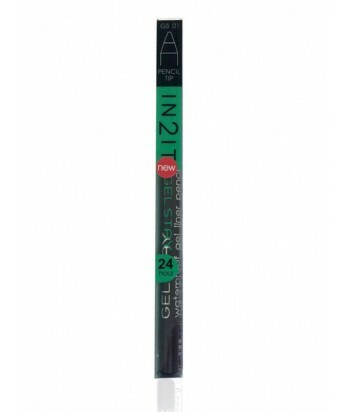 GelStay pencil, is a firm gel eyeliner, smooth, and creamy, to apply. 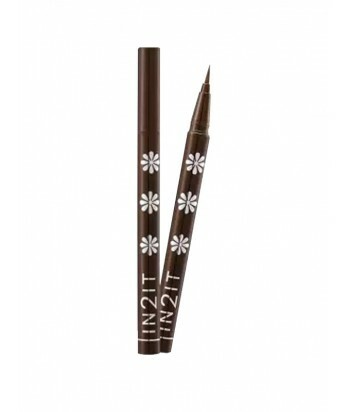 It can also be used as a kajal liner, for application on the waterline. It is simple to use, easy to blend, and quick to dry. 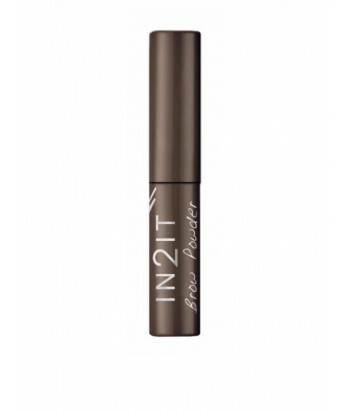 The formula is waterproof, super long wearing, smudge resistant, and does not run. GelStay can be easily removed, with make-up remover, and should be sharpened by IN2IT pencil sharpener. This is made of special hardened steel, and designed for use with this liner. Pro-lash is a clear mascara with a cocktail of ingredients, including pro-vitamin B5, that lengthen, strengthen, and thicken the lash. 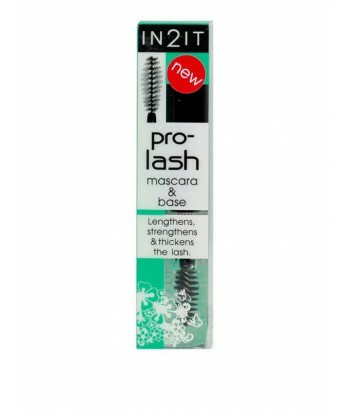 Pro-lash, must be applied daily, for at least fifteen days, before the beneficial effects can be seen. The mascara can be used alone, or used as a base. Easy to apply and remove. Eyebrow powder formula with a slim applicator. The soft and long wearing powder add volume to eyebrows with soft edges. The buildable powder is perfect for natural and dramatic look. The slim applicator helps you to draw and shape the whole eyebrow more easily. Shake and tap before use to help break up the powder. 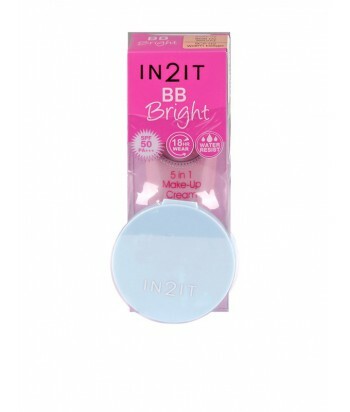 BB Bright 5 in 1 make-up cream is a primer, make-up base, foundation, concealer and sunscreen in one tube. It has UVA /UVB SPF 50 PA +++ also contains skin softener such as vitamin E moisturizing extracts of chamomile oil, Mushroom extract. It has Silica smooth waterproof cover and lasts up to 18 hour wear. Available in set, including UV Shine Control face powder. 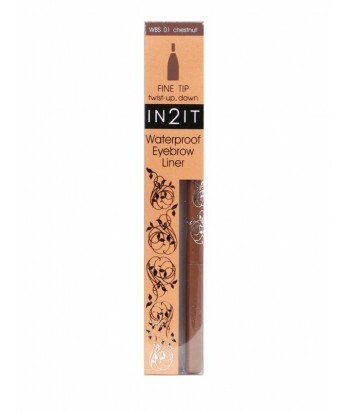 A waterproof eyeliner that dries to a shiny finish with nylon hair brush applicator for precision eye lines. Super long wearing and quick to dry. No running, no smudging, no ‘panda eyes’, no fragrance. Easy to apply and remove. 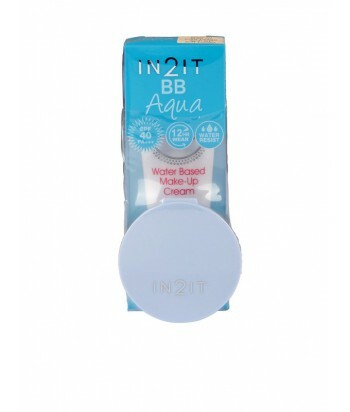 BB Aqua is a water based make up cream that provides sheer cover. Act as foundation, makeup base and primer and helps keep skin smooth and radiant. It's waterproof and can last up to 12 hours. It also protects the skin from harmful UVA/UVB SPF40 PA +++ value. Rich in vitamin E and Aloevera that keeps skin moisturized. Available in set, including UV Shine Control face powder. Hey! 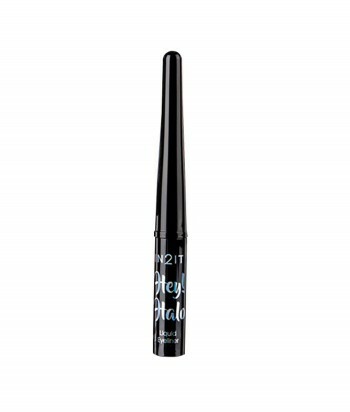 Halo Liquid eyeliner defines your eye lines from day to night with its waterproof formula. Paraben free with Aloe Vera Extract. Available in Black Shimmer. 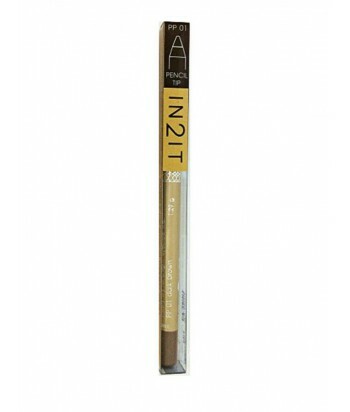 IN2IT Linestat Flexi Tip eyeliners dries quickly within 60 seconds and lasts all day long. It does not leave a stain around the eyes or cause panda eyes. Simple to use and no need to sharpen. Twist up the liner and draw your eyebrow line. The pencil shape gives a balanced grip making it easier to hold and apply. 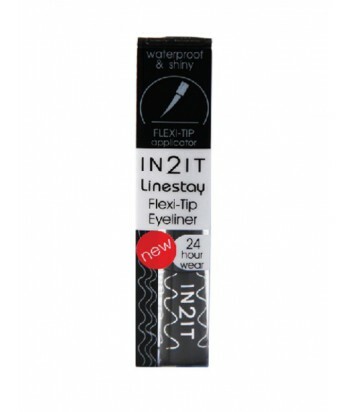 The fine tip liner makes thin and precise lines. Long wearing, waterproof and smooth to apply. Smudge resistant, fragrance free and easy to remove. A quick drying waterproof eyeliner with nylon hair brush applicator for drawing precision lines. No bleeding, running, or ‘panda eyes’. Long lasting and easy to remove. ‘Linestay’ Very Matte, is a waterproof, 24 hour wearing eyeliner, that does not smudge, bleed, run, or leave ‘panda eyes’. 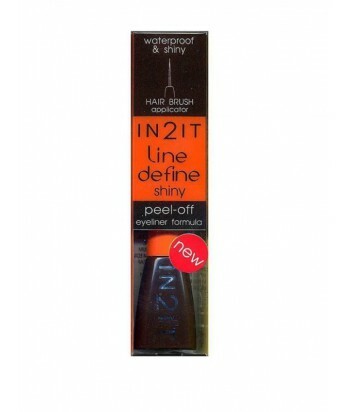 ‘Linestay’ is easy to apply, and dries in 60 seconds to a very matte finish. 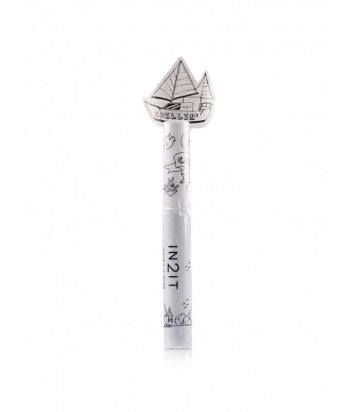 The flexi-tip, silicone applicator, draws precision eye lines that are easy to remove at the end of the day. Just peel the eyeliner from the skin using cleanser, or make-up remover. A new soft, and smooth, eyebrow pencil with a natural finish, and high coverage. The powder formula is unique, and can be used two ways. It can be applied dry like a normal pencil, for a natural matte look, or it can be applied moist, for a bolder matte look. The soft powder formula is easy to apply, easy to sharpen and easy to remove. The pencil is waterproof, long wearing, and will last all day. Suitable for all skin types, and oil free.